Seasalt's Larissa Shirt is a year-round favourite. Made from the softest cotton with a casual crinkled appearance, the beauty of this shirt is that it doesn’t need ironing – just wash and twist to keep the crinkle. Seasalt's Larissa Shirt is a year-round favourite. 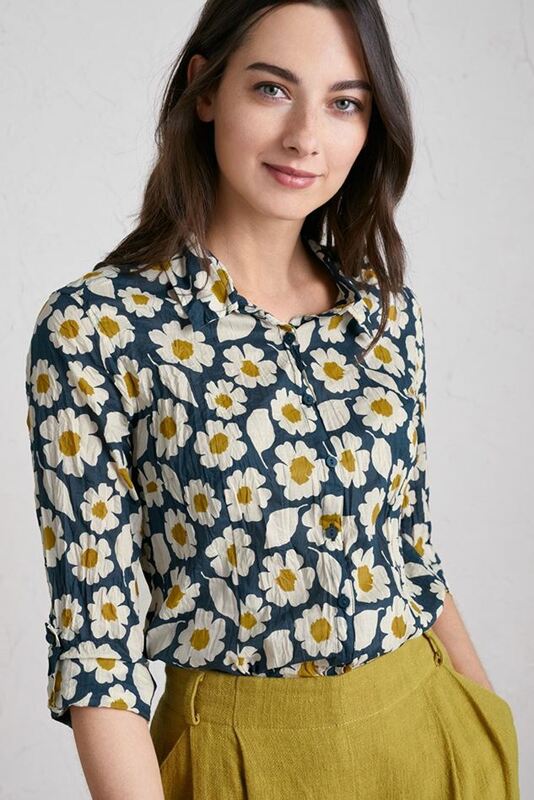 Made from the softest cotton with a casual crinkled appearance, the beauty of this shirt is that it doesn’t need ironing – just wash and twist to keep the crinkle. This semi-fitted style is flattering and comfortable, with long sleeves and button loops so you can roll up the cuffs to change your look.